SentinelOne’s New Logo & Brand: What Does Autonomous Endpoint Protection That Saves You Time Look Like? 2017 was a remarkable year for SentinelOne: we made exciting progress on our product and team yielding unprecedented results. We felt the time was right to introduce a new logo and brand message to convey who we are and the value we deliver to our customers. 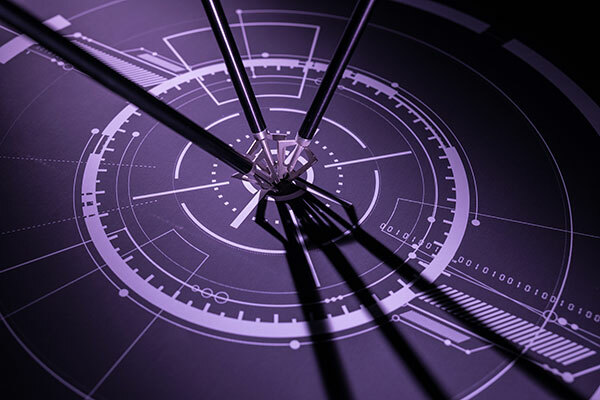 A message about time: “it’s about time.” It’s about the time that we save our customers preventing and catching threats at machine speed, and it’s about time the market demanded a solution that converges EPP & EDR in ONE purpose-built agent. 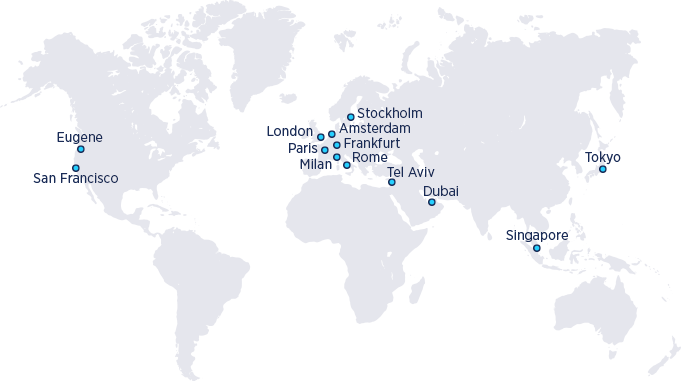 Today, SentinelOne is the fastest growing next-gen endpoint solution on the market! – The Helmet. It’s a universal sign of protecting what’s most important to each of us. Even during the most dangerous times of impact, a helmet keeps your head safe. As our users and their endpoints forge uncharted paths into the precarious unknown, our logo reassures them that their most important possessions are autonomously secured against the threats of yesterday, today, and tomorrow at machine speed. 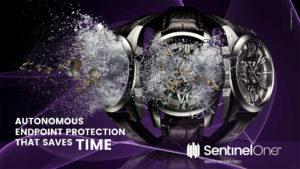 SentinelOne protects our digital way of life. – An Abstract Style. The helmet is comprised of different discrete pieces, symbolizing the layered, yet holistic nature of our technology. We are the only solution that applies an automated and AI-driven phased approach leveraging the power of Static AI, Behavioral AI, and Automated EDR in a single purpose-built agent – fortifying the endpoint with the right technology at the right time for each phase of the threat lifecycle. The abstract style underscores the idea that “one” is always the summation of multiple parts which fuse together as a single being – and that just as our customers are diverse in terms of the languages they speak, the countries in which they reside, and their specific IT operating environments, one message can have many meanings. Our narrative of time, “it’s about time,” captures the multilayered and nuanced nature of our brand. – Rich and Pointed Purple. 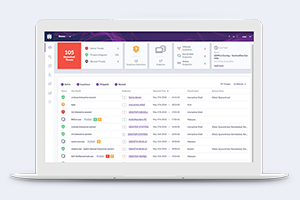 Just as purple is the combination of blue (calm) and red (fierce energy), SentinelOne’s multilayered approach produces a unique solution to solve the complex cybersecurity problem. Purple is a color associated with loyalty, dignity, and ambition – that is how we approach our customer and partner relationships as well as approach creating new technologies – all of the time. Purple and the ambition it represents inspire us to be the very best solution on the market across all key platforms: Windows, Mac, and Linux. Both the logo and font are fierce and pointed; this is intentional. Each of our team members are always on-guard and committed to victory. 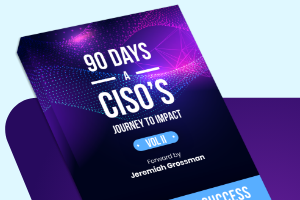 There is no shortage of vendors in the endpoint space – some of which have let customers down for decades – others apply overly simplistic or overly complex approaches that fundamentally don’t work. Competition doesn’t scare us. Our team’s guiding principles are symbolic of the loyalty, pride, and ambition of purple – and we won’t stop until our customers are secure. It’s our time, and we are pointedly committed to victory – all of the time. We invite you to participate in our new brand identity. It’s about time that you evaluate SentinelOne – we’ll help you autonomously prevent, detect, and respond to more – while saving you time! As our logo and brand rolls out over our digital and physical presence around the globe, we hope you’re just as excited as we are about who we are, what we stand for, and how we can help defend your digital way of life. Learn more about SentinelOne live at RSA, Booth 935 Moscone South and in our communications over the next few weeks. It’s about time!